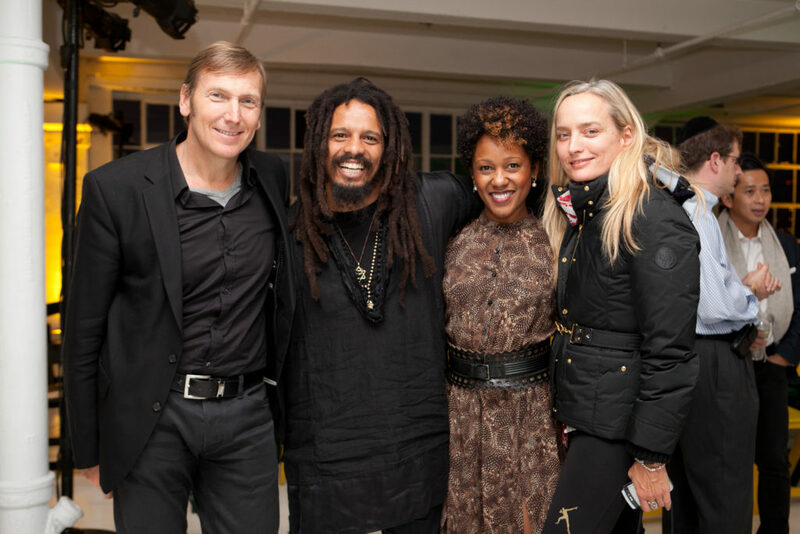 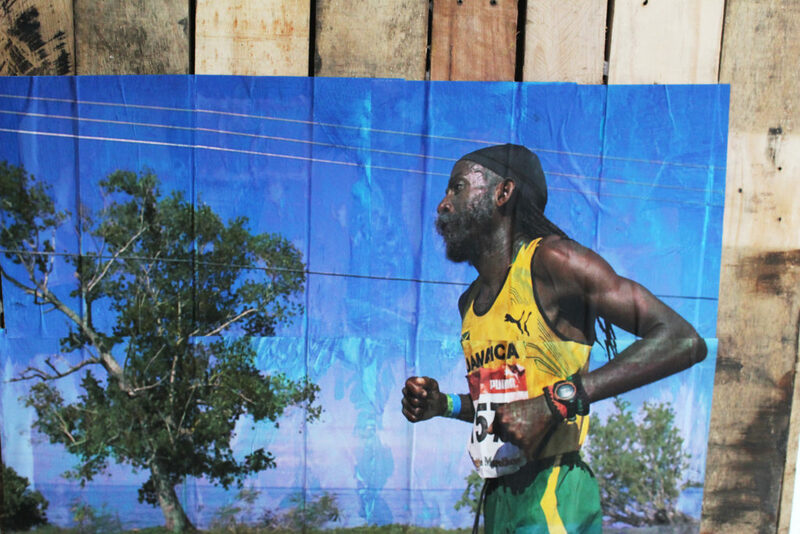 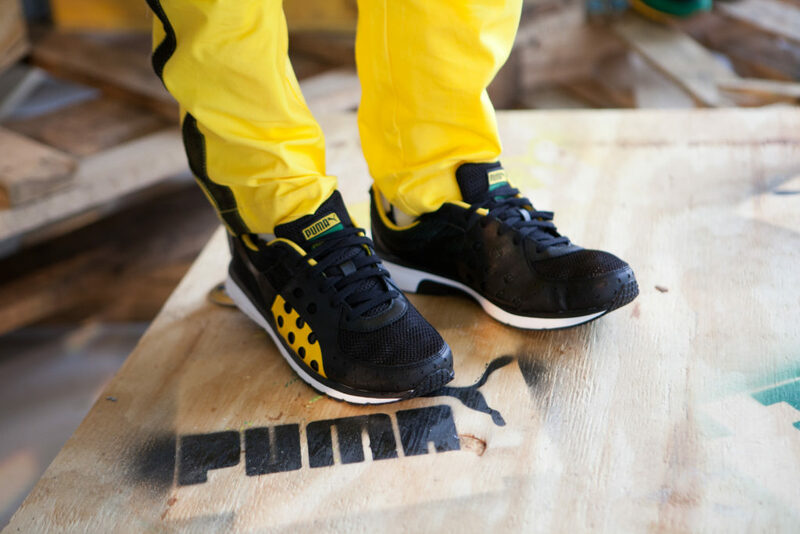 PUMA & CEDELLA MARLEY​ Olympic Wear Collection Launch​ - this is LESTER. 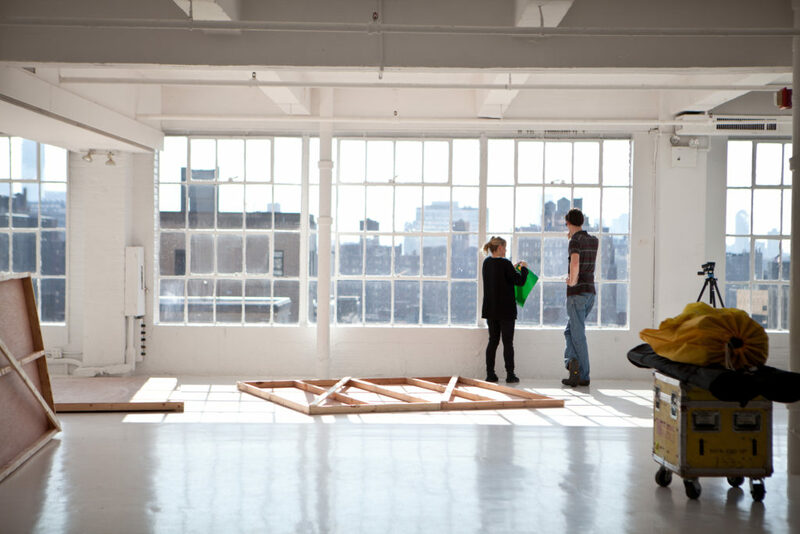 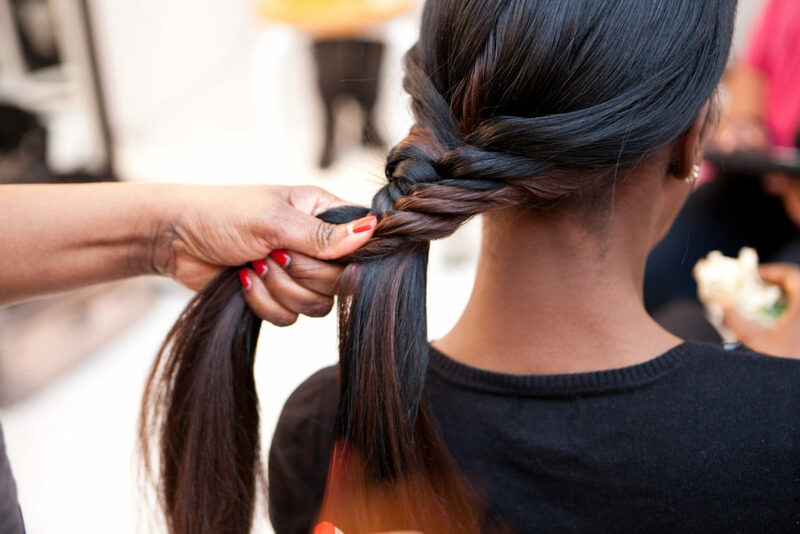 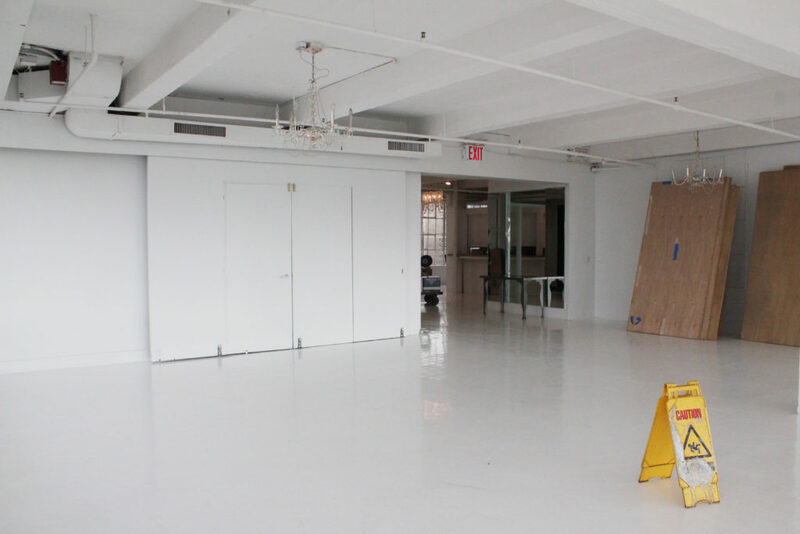 Where: Studio 450, New York, New York. 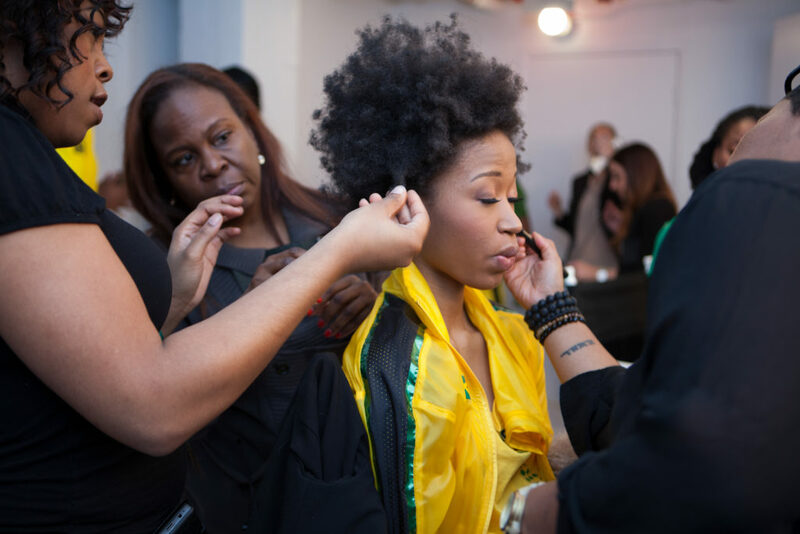 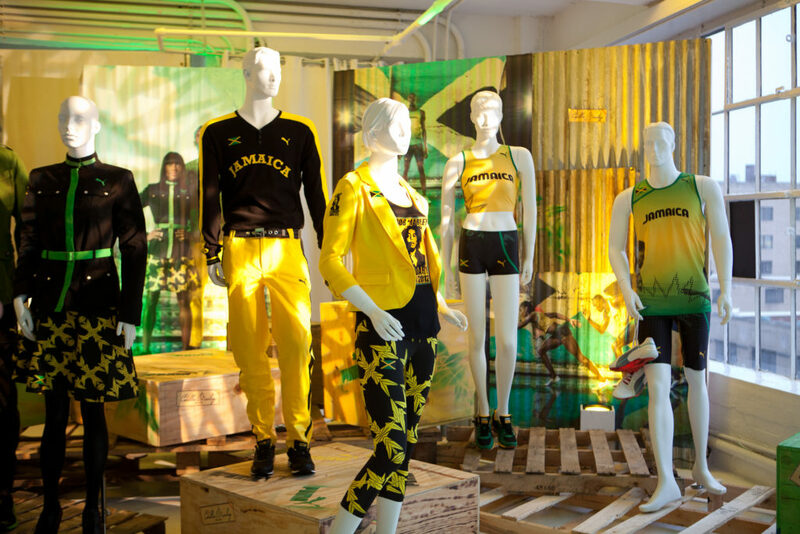 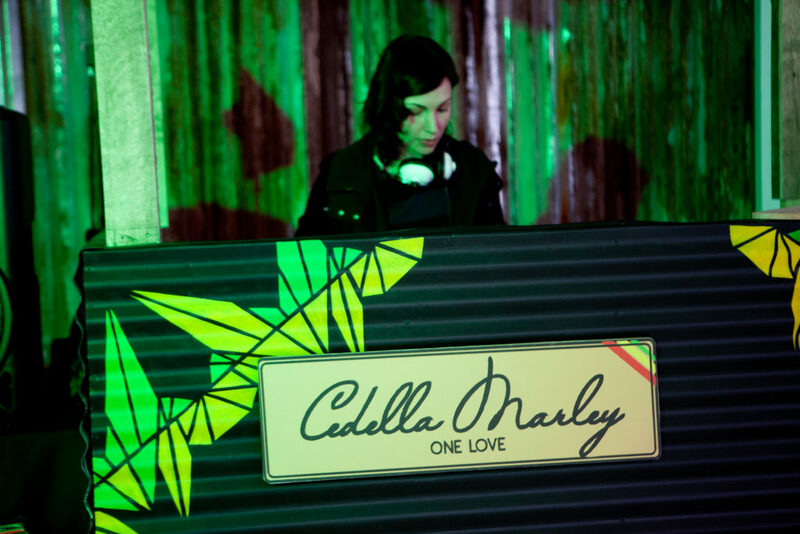 In 2012, Cedella Marley teamed up with Puma to design her very first clothing line for the one and only Jamaican Olympic team. 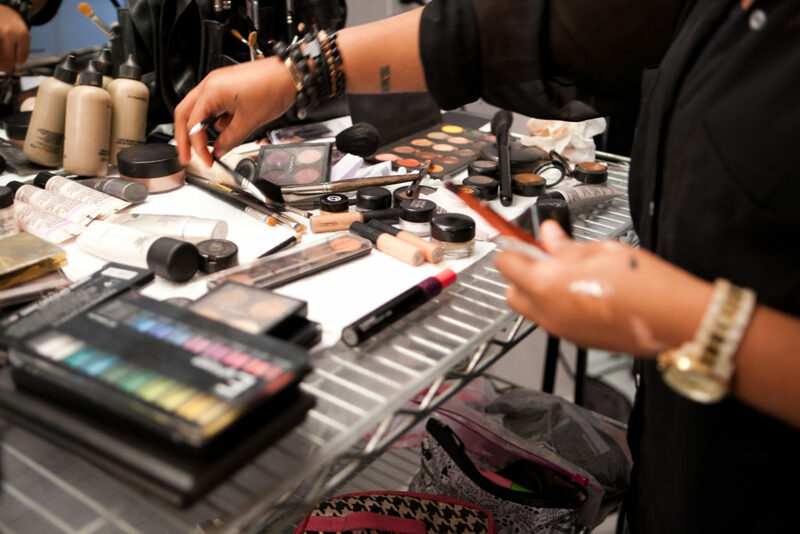 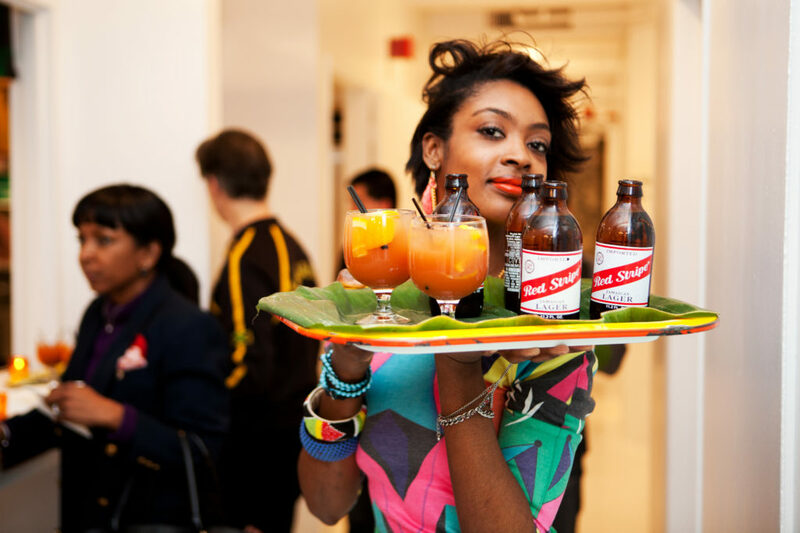 We wanted the world to know about it, so we created a global media event, complete with press conference, interviews, fashion shows, cocktails, Miss Lily’s Caribbean fare, and much and more. 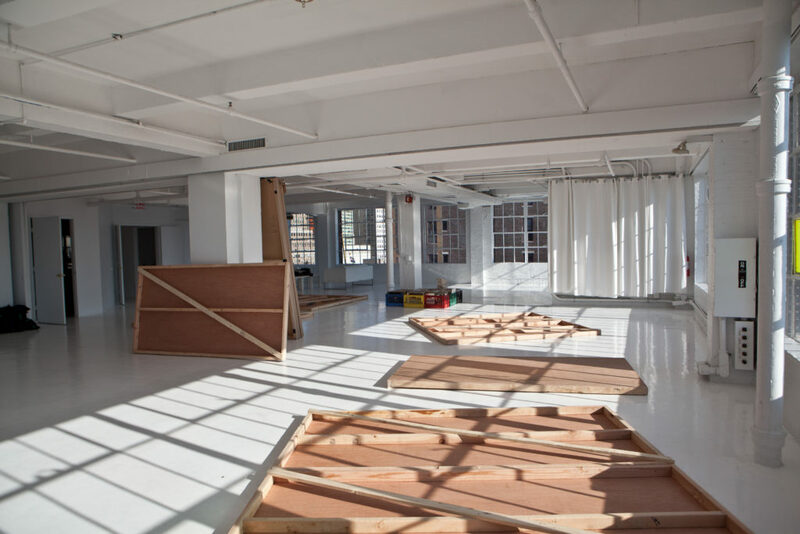 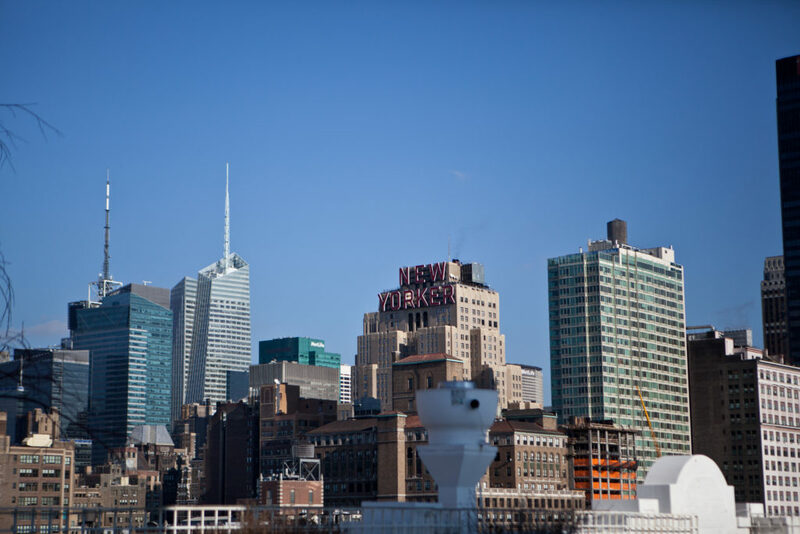 We needed a central location to accommodate our guests busy with Fashion Week (like Vogue Paris, Vogue Milan, Harper’s Bazaar, Elle, W). 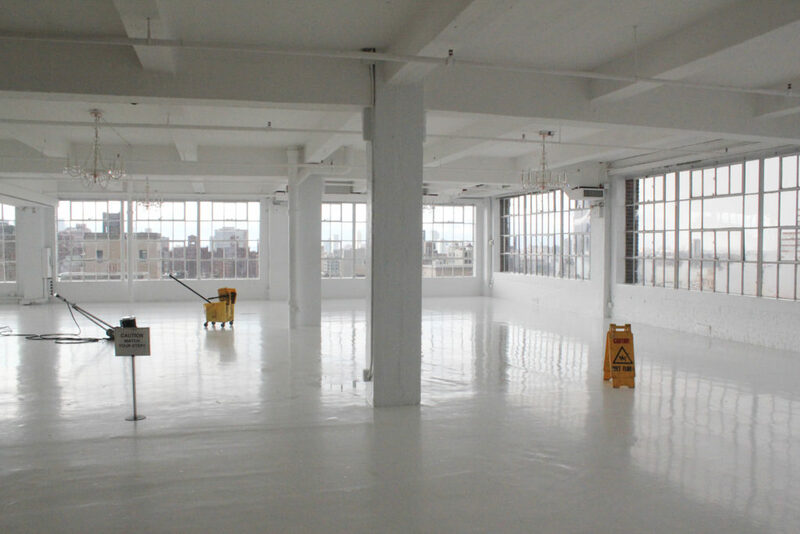 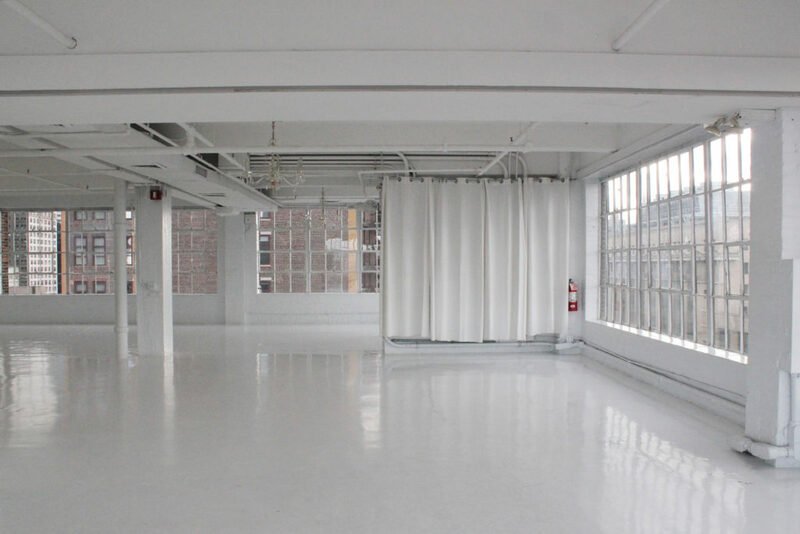 So we found a central location that hit all the right notes; except it was stark white. 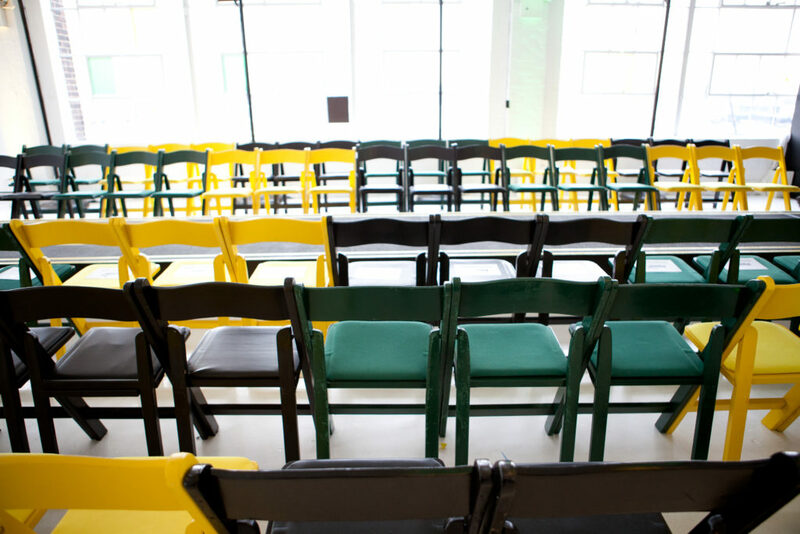 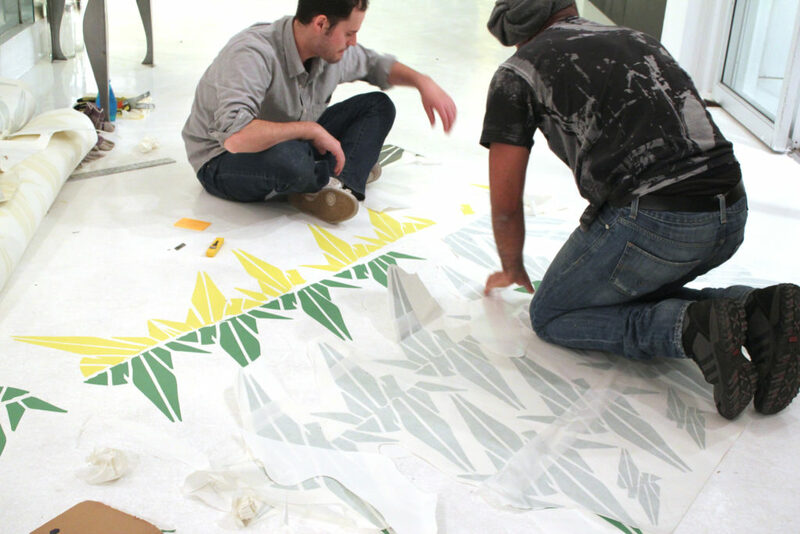 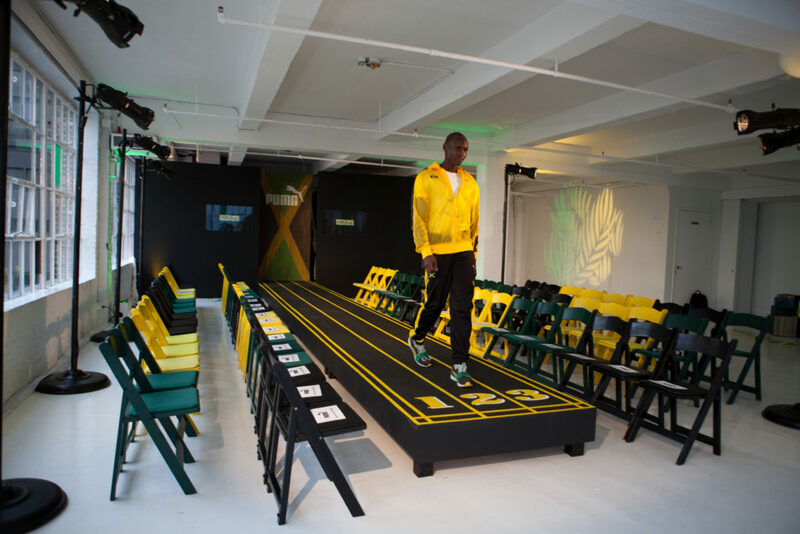 We jamaica-fied this white space efficiently and effectively with wayfinding decals and built a runway set to the DJ booth using reclaimed materials with Jamaican colors. 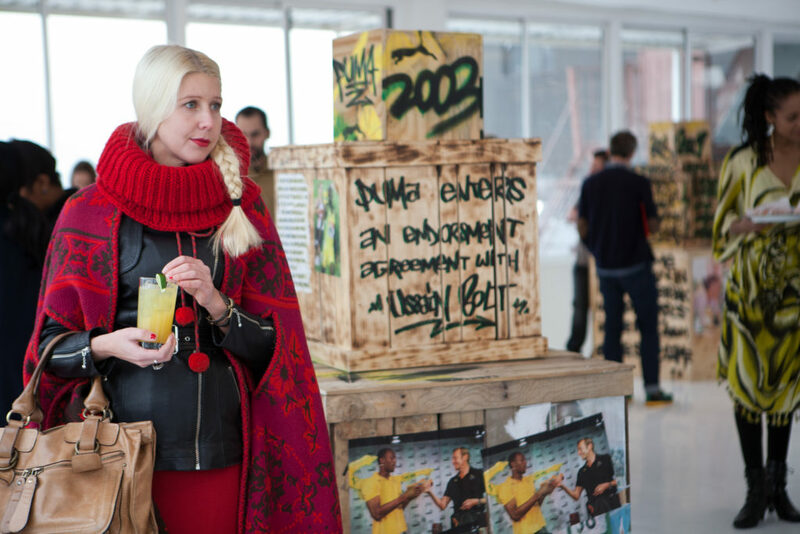 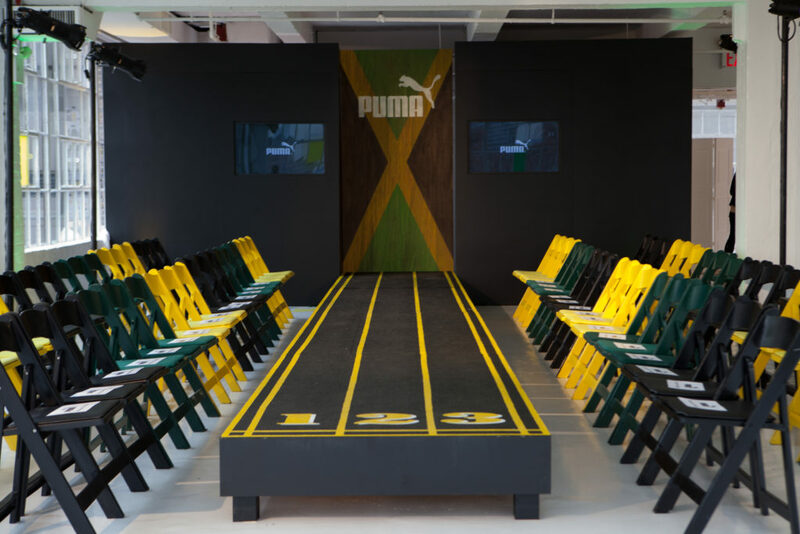 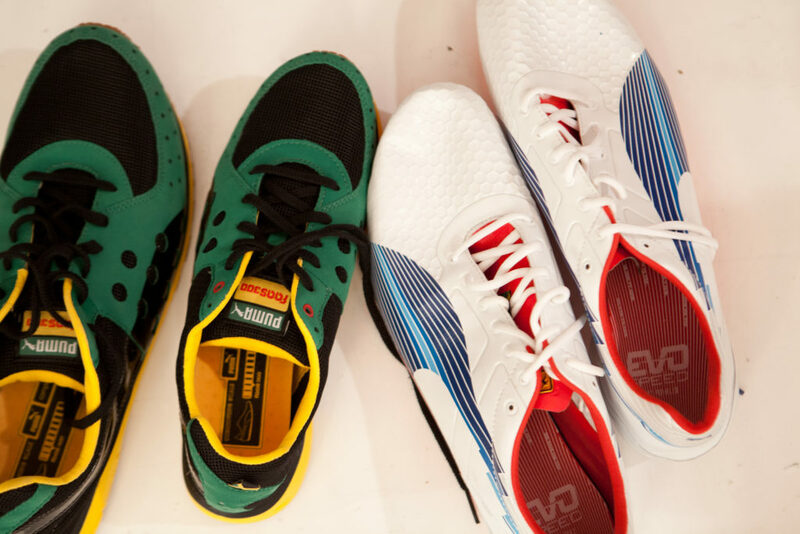 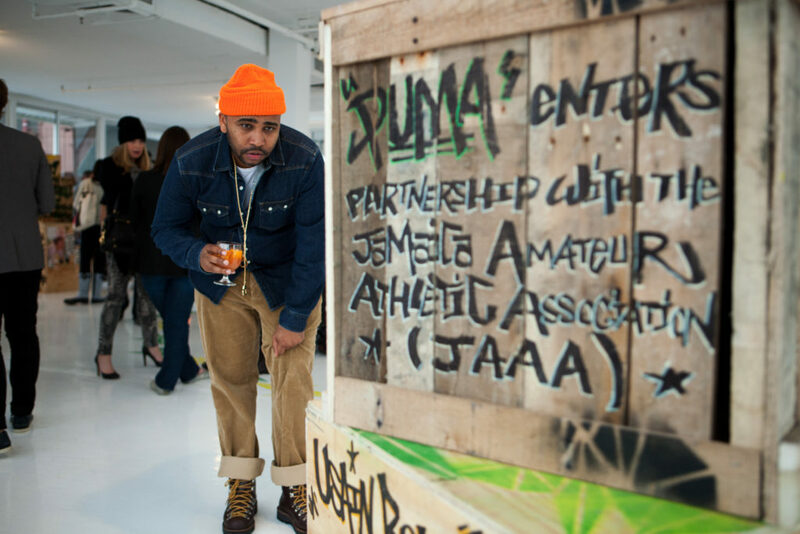 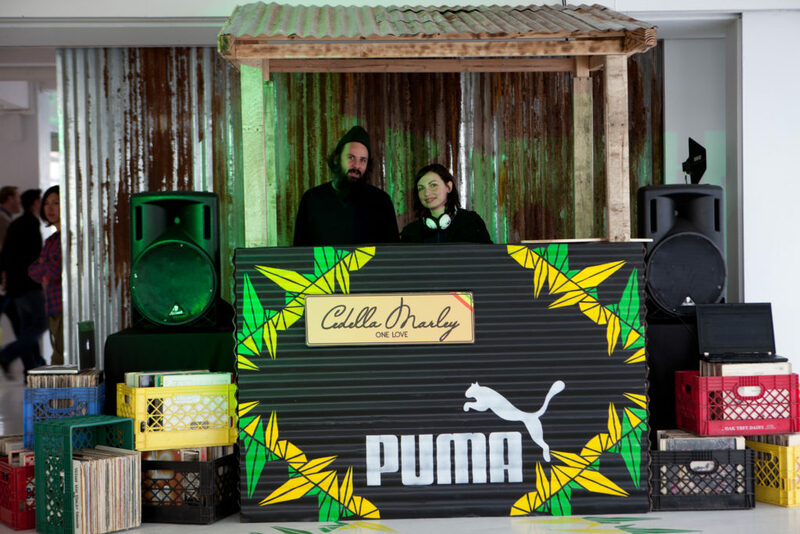 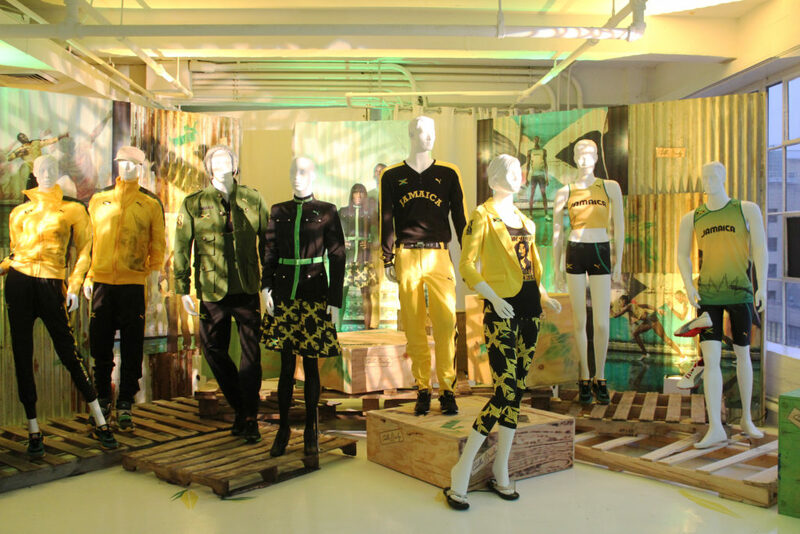 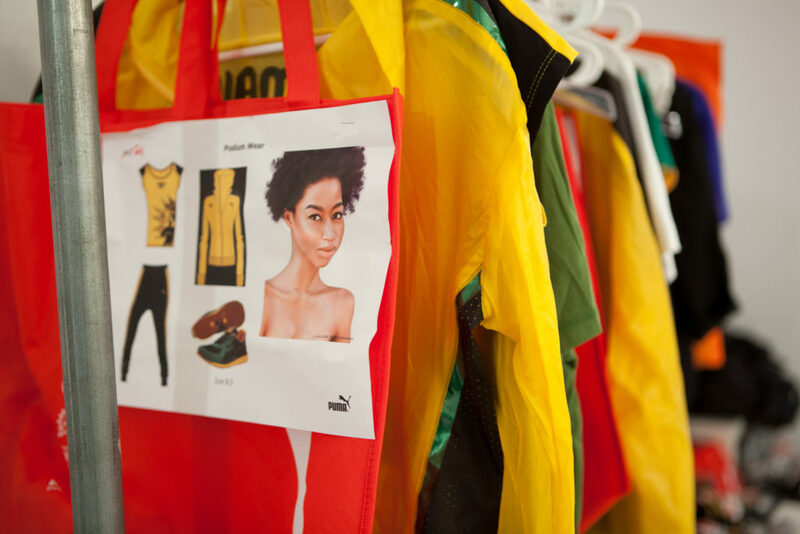 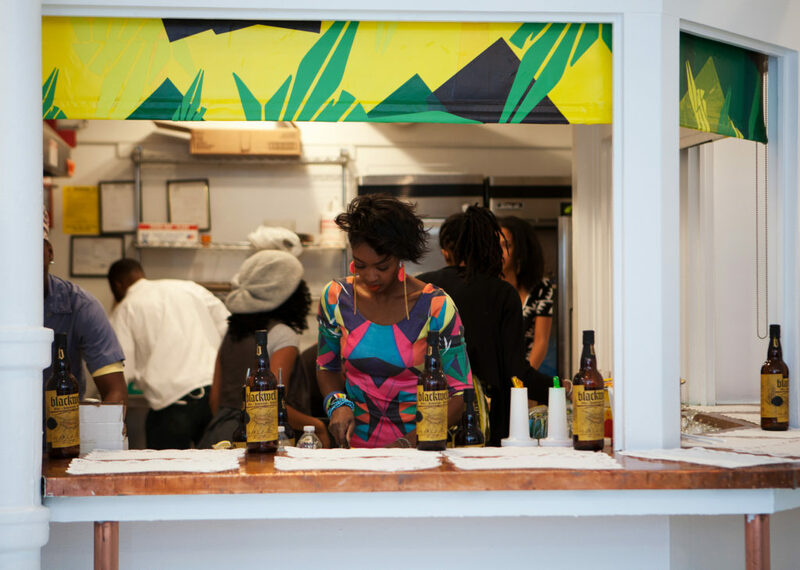 We brought a little piece of Jamaica to New York and brought Puma’s Jamaican connection to life in a celebratory, engaging way. 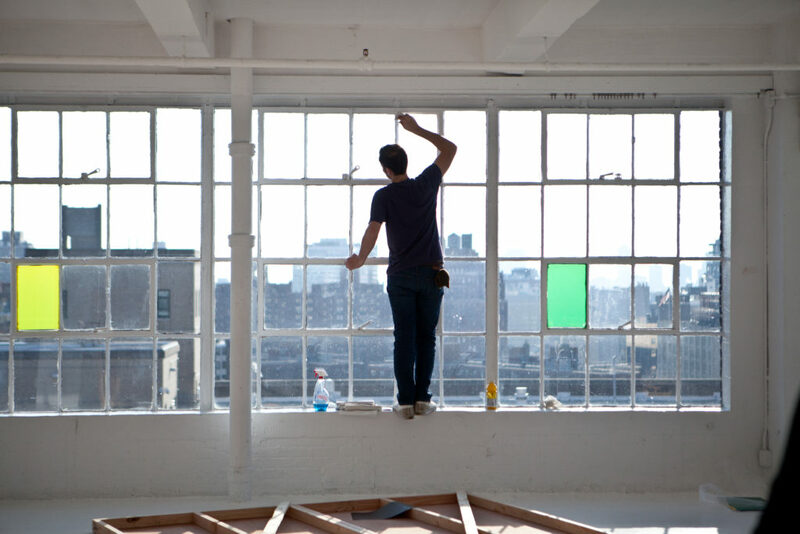 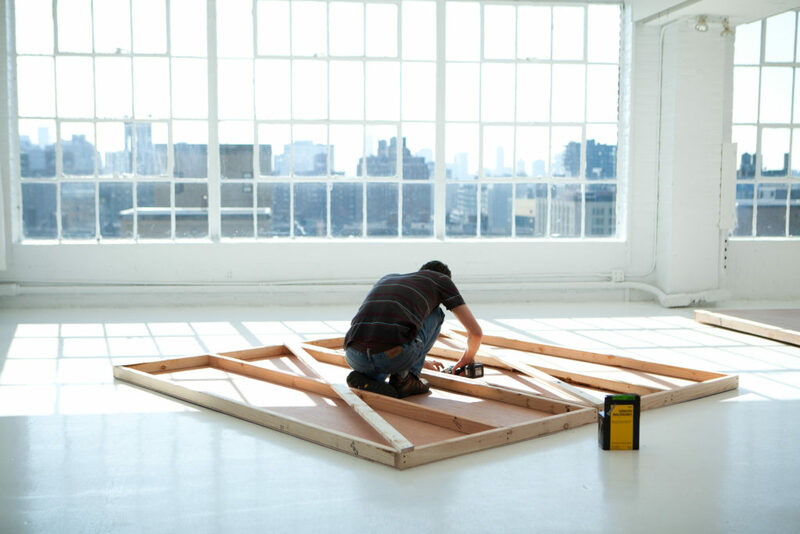 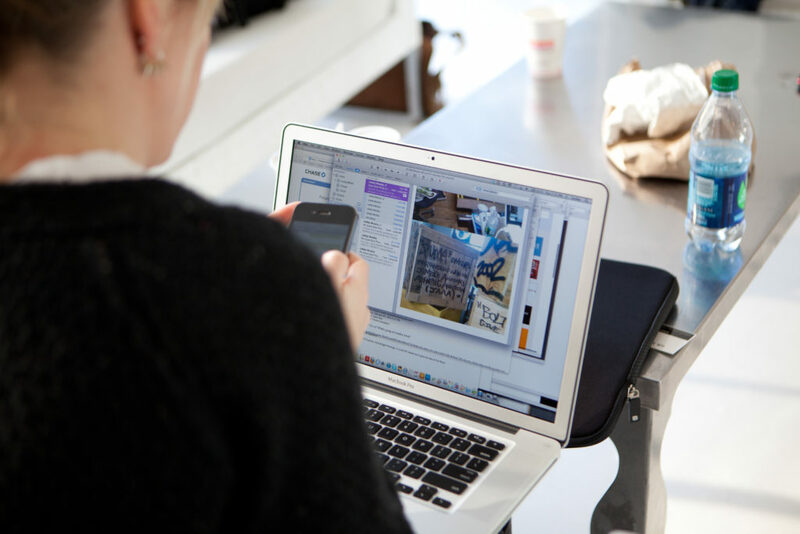 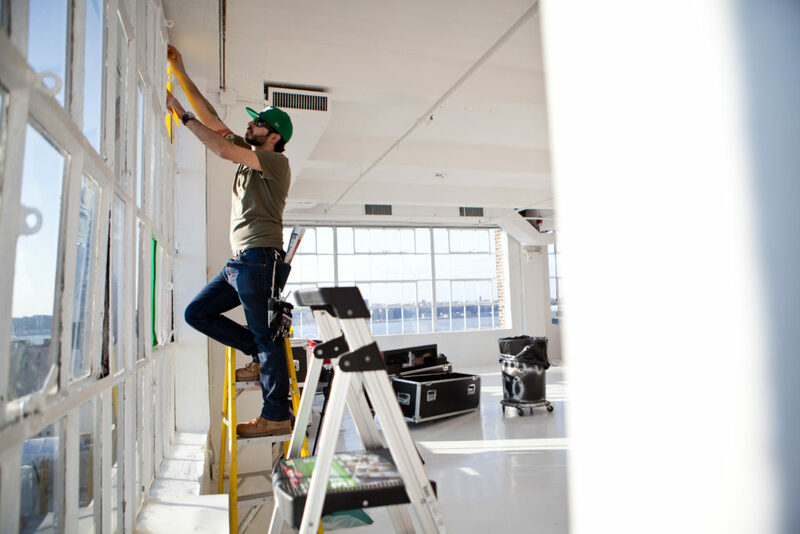 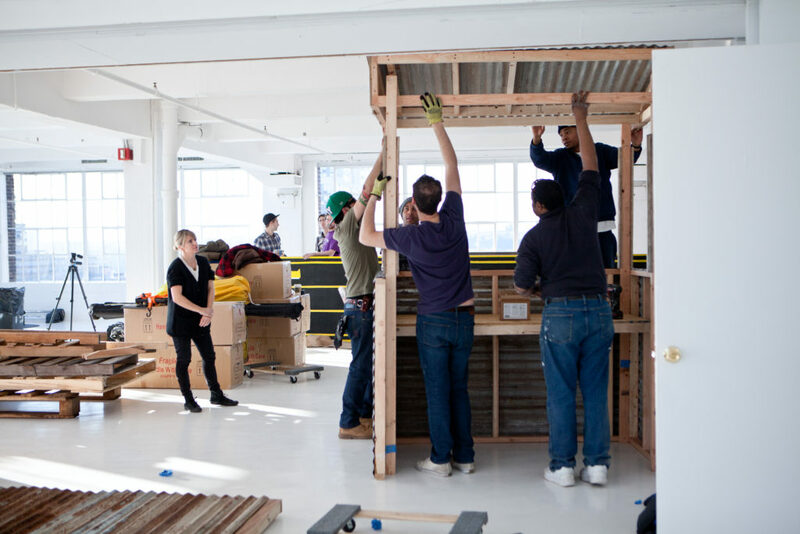 During our creative phase, we pushed (very politely!) 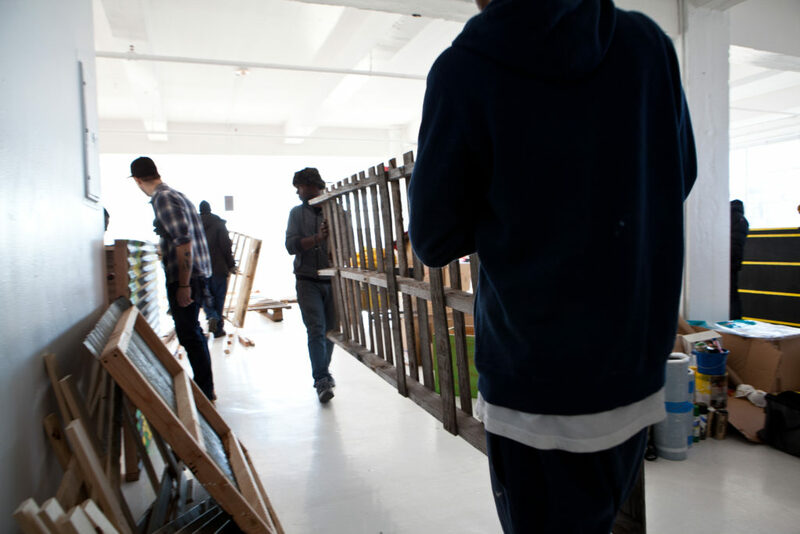 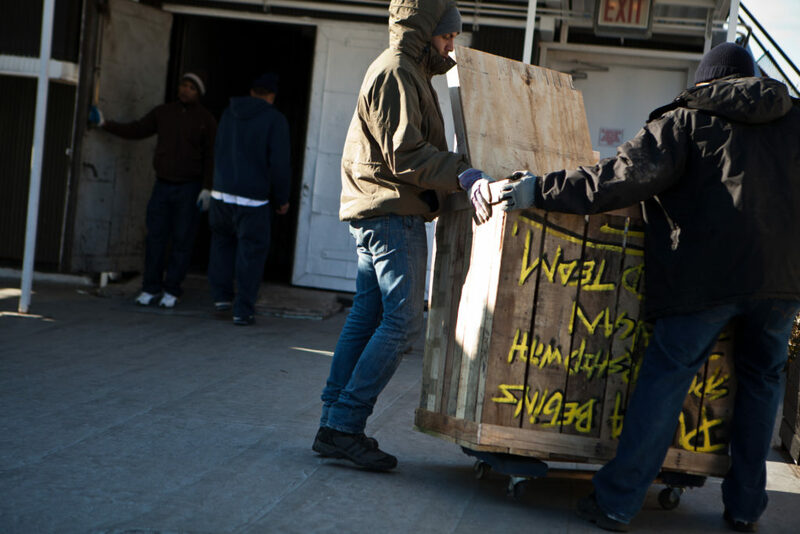 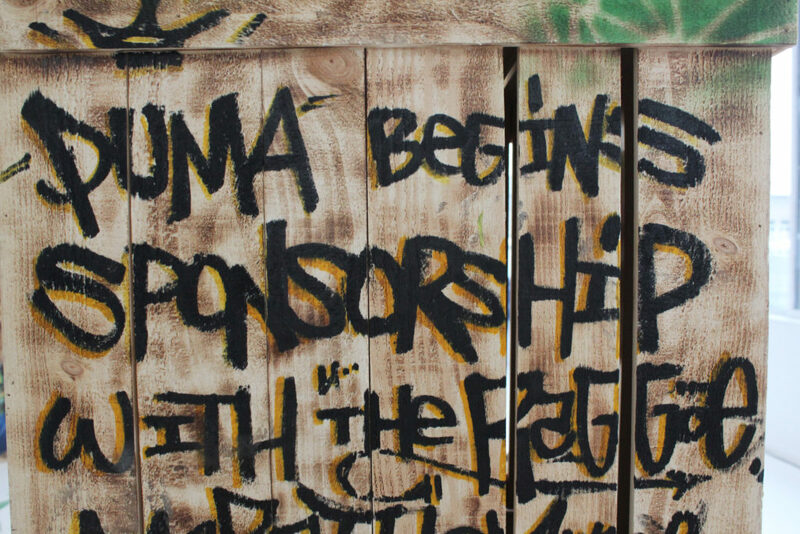 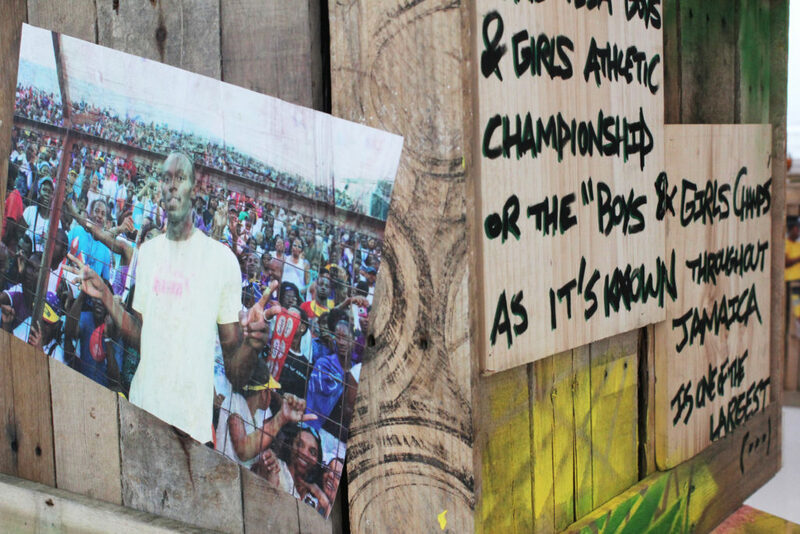 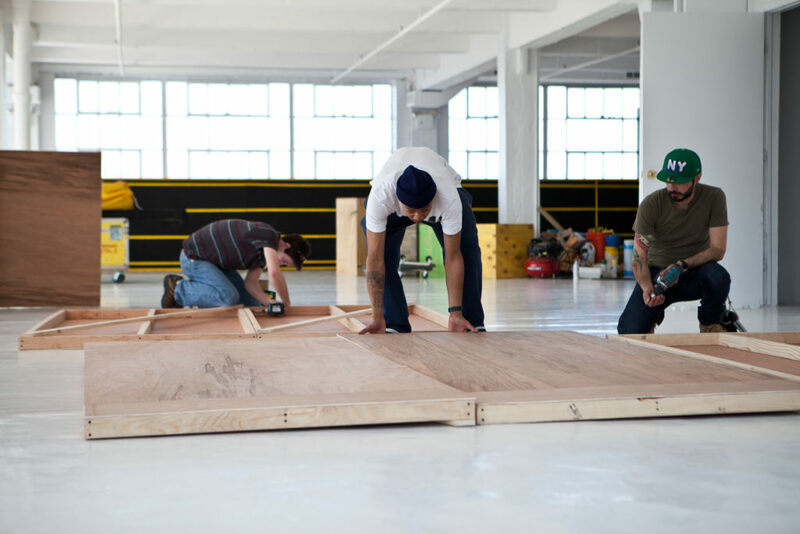 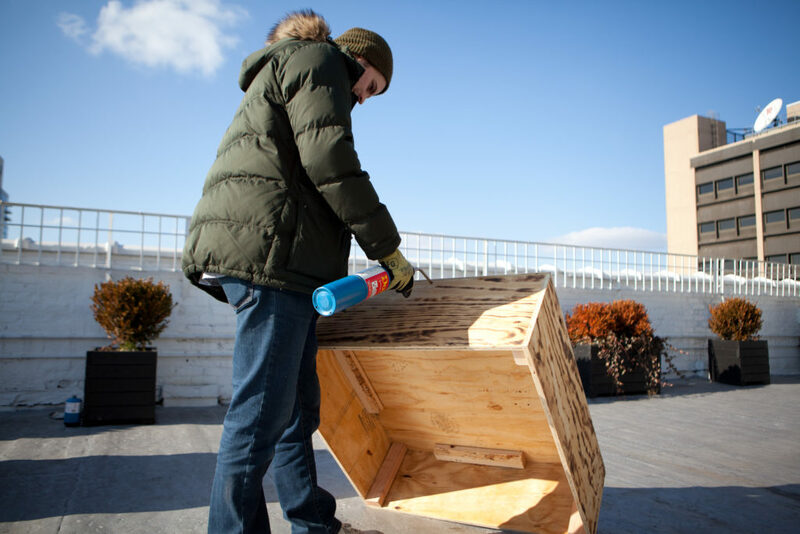 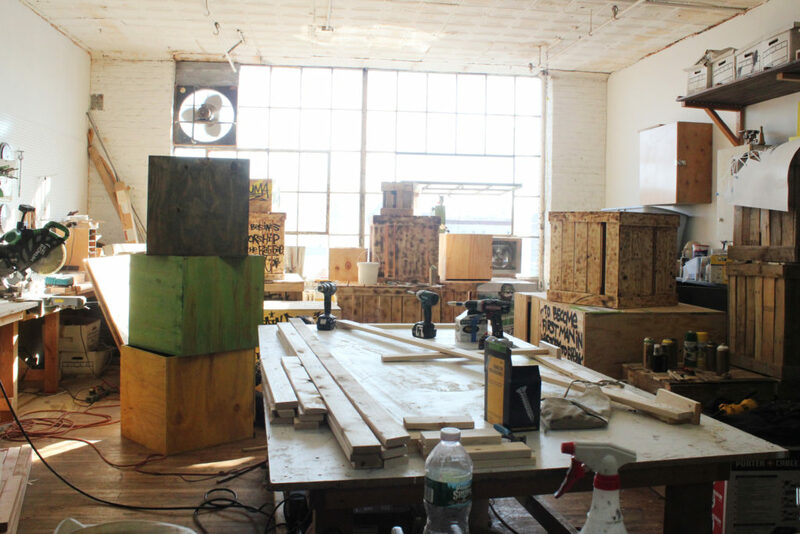 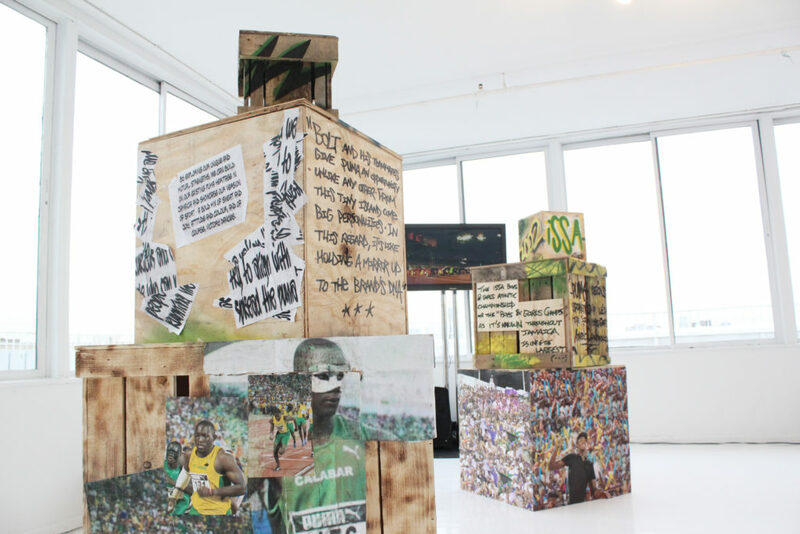 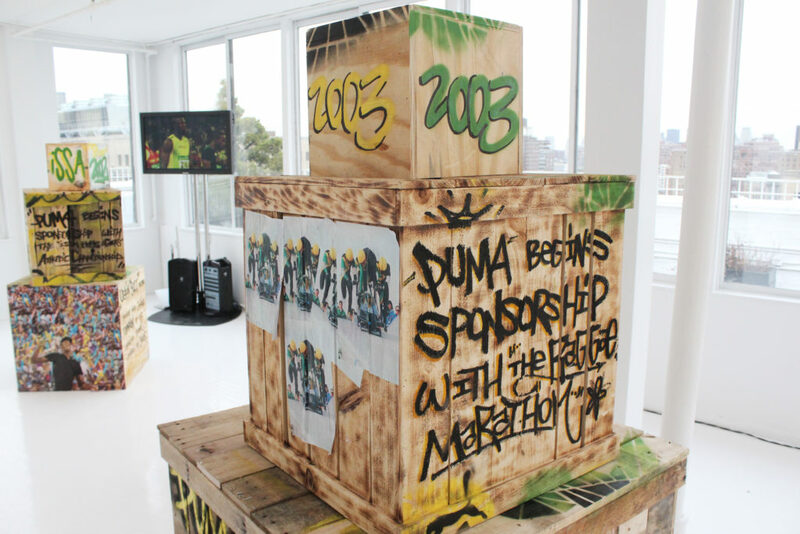 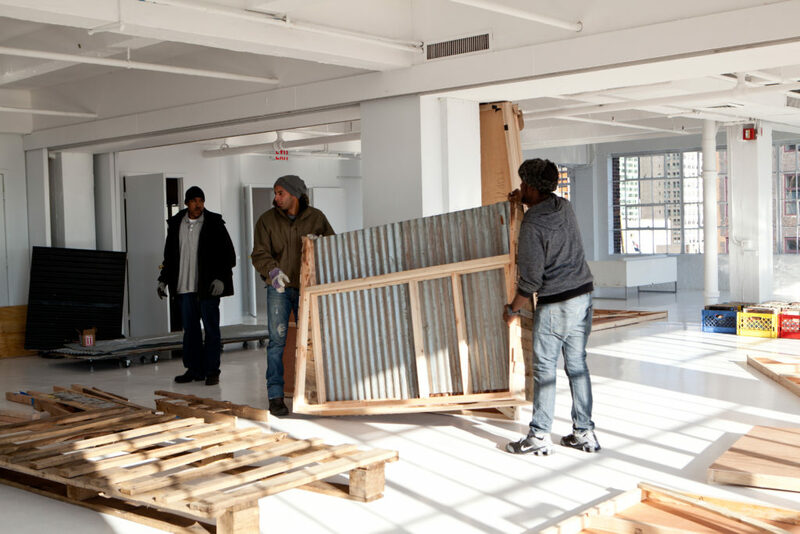 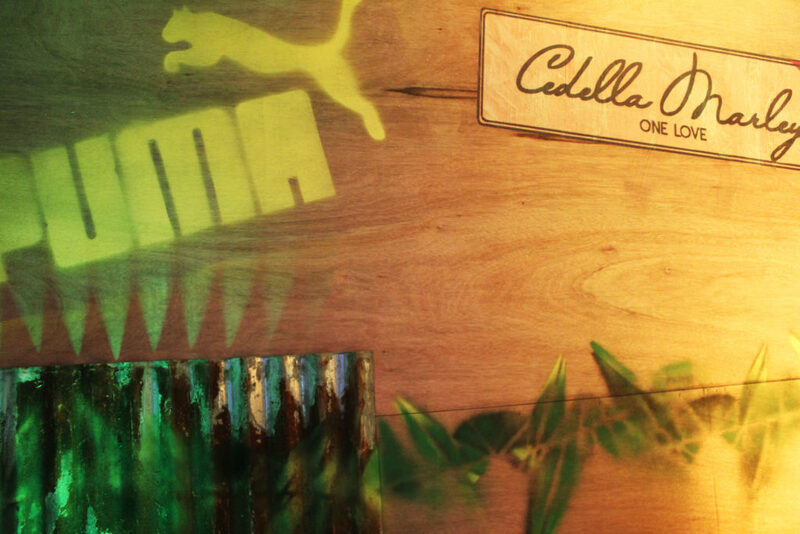 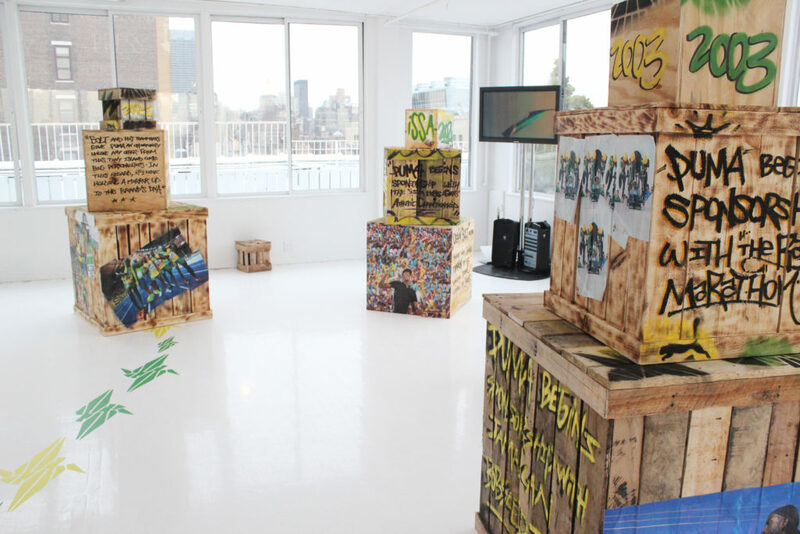 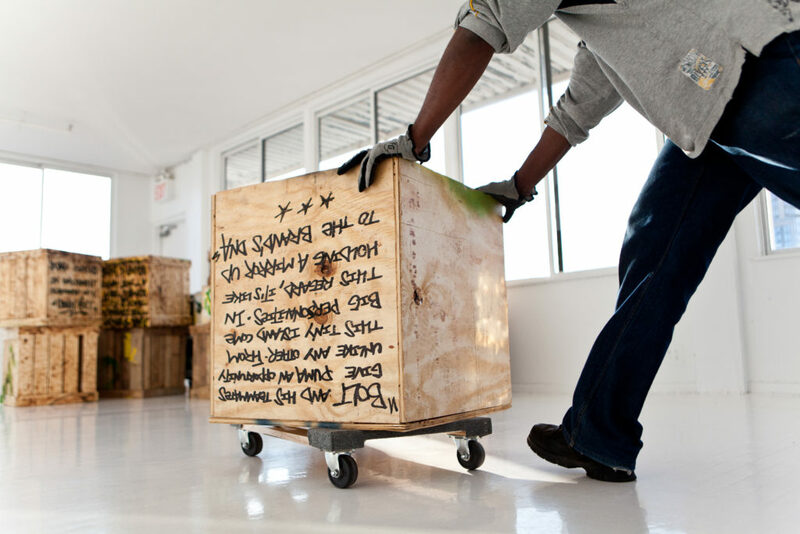 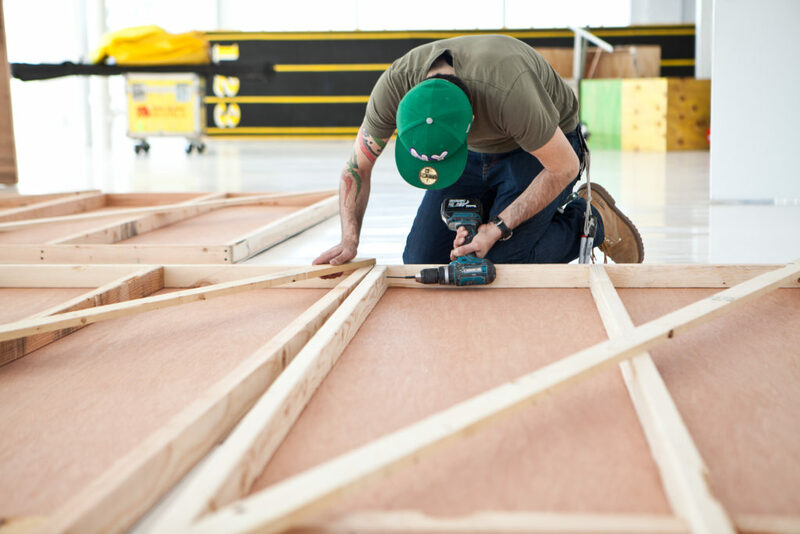 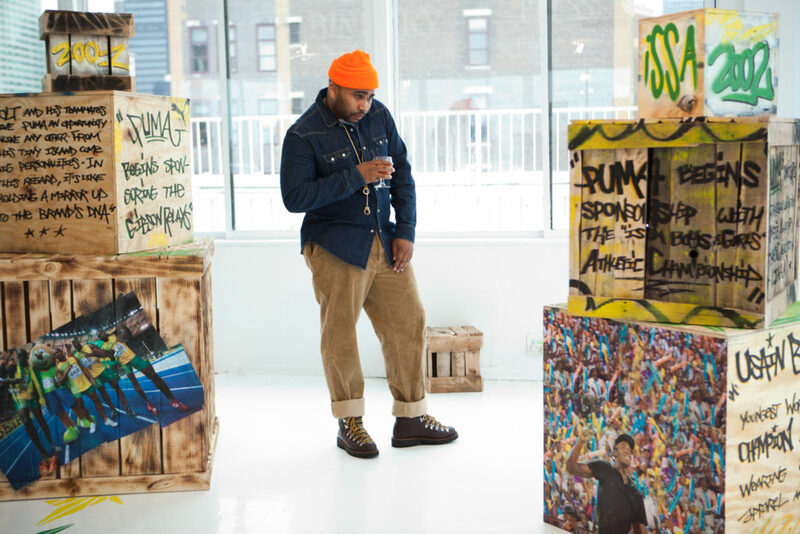 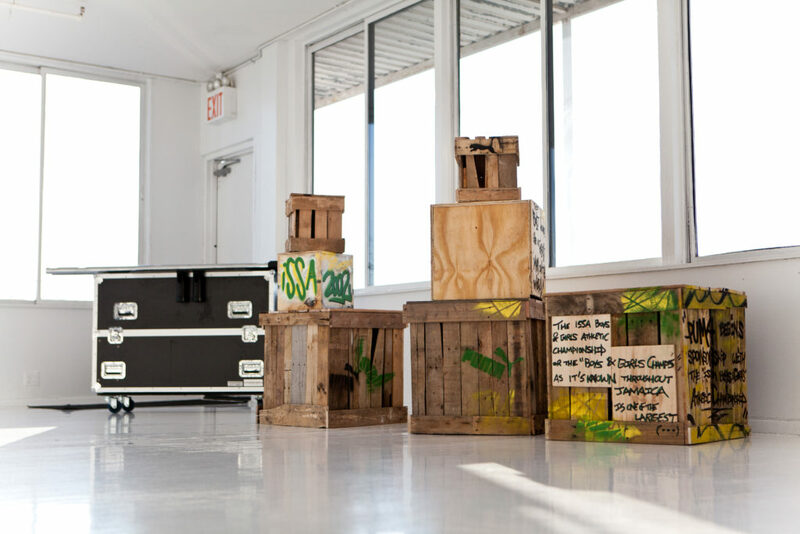 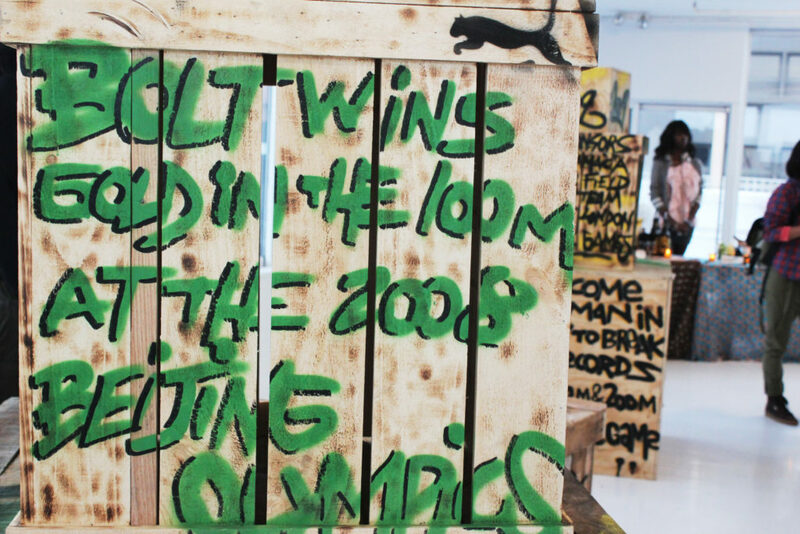 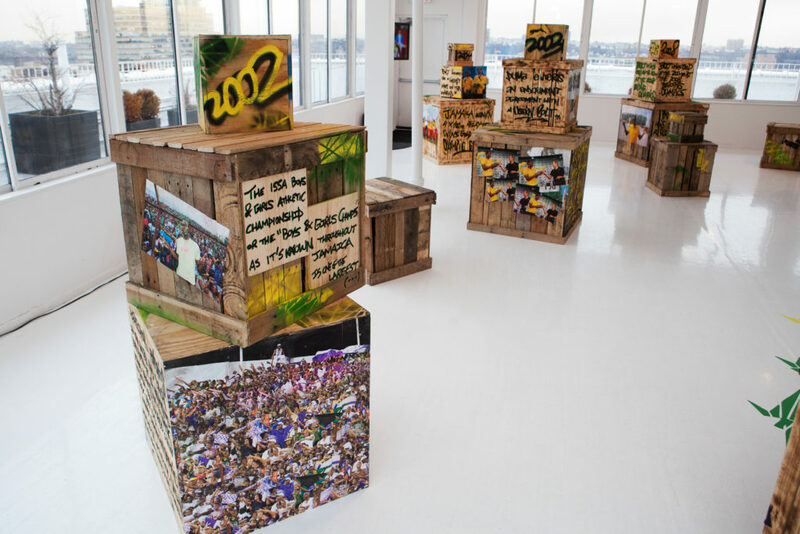 to include a creative installment that would display Puma’s history with Jamaica, graffiti style on big reclaimed boxes. 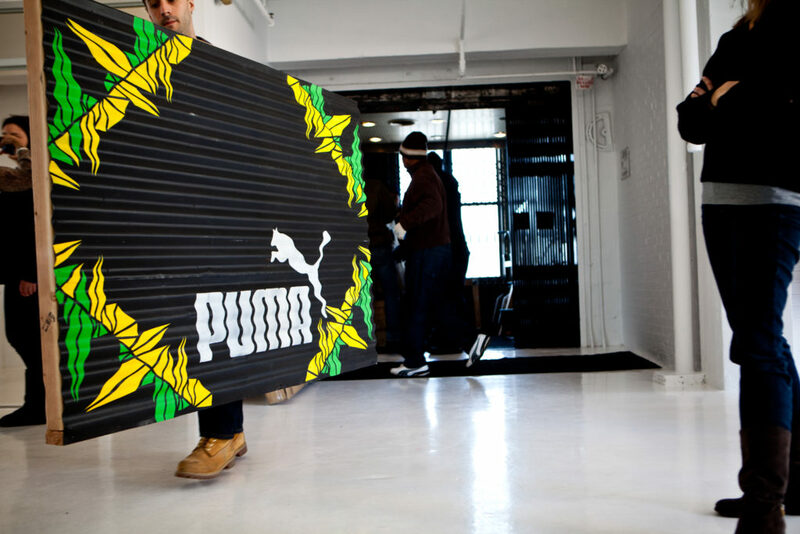 It takes a lot to impress people who have seen it all, but this did the trick.